I first read Carlos Ruiz Zafon’s ‘The Shadow of the Wind’ years back when it first came out. When my book club decided that this would be the May read, I was quite excited. Because I rarely re-read books and so I was interested in finding out how the experience would be. I remembered liking very much the start of the book. But I also couldn’t remember the rest of the book except for one of the surprises revealed in the end. However hard I tried, I couldn’t remember a single event in the story or any of the characters (except for the few who came in the events I remembered). So, it was really like reading a new book. I finished reading it yesterday. 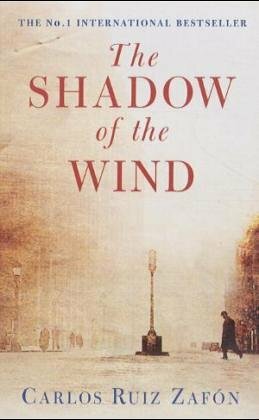 Here is what I think..
‘The Shadow of the Wind’ starts with a scene, which book lovers will love and hold close to their heart. A father takes his young son to a place called ‘The Cemetery of Forgotten Books’. The keeper of this ‘cemetery’ lets them in. The father asks the boy to choose one book from there and then read it, treasure it and save it and celebrate that book and the writer. He tells the boy that that book would belong only to him and it is his job to take care of it. The boy picks a book called ‘The Shadow of the Wind’ by Julian Carax. After they reach home, he starts reading the book, and before he knows he is deep into it and when he crosses the last page, he discovers that the sun is rising and he has been reading for the whole night. He asks his father about Julian Carax, but his father hasn’t heard of him. When his father takes him to talk to one his friends who is knowledgeable about these things, this friend tries to buy off the book from the boy. The boy remembers what his father said and refuses to part with the book. And thus starts his lifelong adventure – his search for more information on the writer of the book, the people whom he meets who might have been part of Julian Carax’ life, the surprises that are revealed, the pandora’s box he opens which lets loose evil which camps on his doorstep and those of others who are part of Julian’s life, and how in the midst of all this excitement, our hero, the boy Daniel Sempere, grows up into a young man, falls in love, gets his heart broken, falls in love again, and then has to go through an ordeal to ensure that his heart is not broken again. So, did I like the book? I have good news and bad news. The good news first. The start of the book is very wonderful. It is every book lover’s dream. The story takes off from there and it is enjoyable to read. There is a section which describes how we can get obsessed with beautiful pens which is very beautiful. The story of Daniel’s first love and how his heart gets broken and how he falls in love again are all beautifully told. Most of the good characters are fascinating, kind and likeable. It continues like this till around three-fourths of the book. I also liked the way in which the author takes a particular plot archetype (young boy falls in love with a girl, girl’s father is a rich and powerful man and doesn’t like it, girl has a brother / another suitor who hates the young boy) and introduces it into the lives of two of the main characters and steps back and let us see how the concerned character handles the situation. It was fascinating to watch. Now the bad news. After three-fourths of the book, there is a ninety-page section, in which all the surprises are revealed. That section is structured in the form of a letter by one of the characters. I like surprises being revealed slowly and naturally. Big bang revelations are not my thing. That is one of the reasons I had a problem with Harry Potter 6 (‘The Half Blood Prince’). That is one of the problems I had with that long letter in this book. Another problem I had was in the depiction of the villain character. When he was a boy, it is shown that he is sensitive, carves beautiful things with wood and is shy and an outsider whom other students at school keep bullying. When he is grown up, he is shown as a bad guy, with a black heart. It is difficult to believe that. It would have been more convincing to believe that he had a mix of good and bad within him and the bad came more because of the bullying and the social circumstances that he grew up in. But that is not how he is. And, I don’t know how else to articulate this, but after a spectacular beginning, at some point the book loses that magic and feels underwhelming. I don’t know where that happens, but it does. I actually liked the ending and so I don’t know why I felt that way. I asked myself what I felt about the book when I first read it. Did I like it? Was it one of my favourite books? Though it wouldn’t make sense to compare it with my favourite books now (because I have changed a lot as a reader and as a person since then), I asked myself how it compared to some of the books which I read at around the same time and liked. I remember liking the book when I first read it (as I read the same copy I found it interesting to read the lines I had highlighted earlier and see whether I still liked them. Though some of them weren’t as appealing now, I liked most of those lines that I had highlighted years back) but I don’t think it was a favourite. I remember reading Elizabeth Kostova’s ‘The Historian’, Donna Tartt’s ‘The Secret History’ and Iain Pears’ ‘An Instance of the Fingerpost’ at around that time. I remember liking them very much, and I think I liked parts of ‘The Historian’ more than ‘The Shadow of the Wind’ and I liked ‘An Instance of the Fingerpost’ very, very much. But still ‘The Shadow of the Wind’ left positive impressions on my mind when I read it the first time, but I have mixed feelings about it now. As the book got raving reviews when it was published, I checked with friends and other readers, who had read it, on what they thought of it. Some of them had read it when it first came out and others had read it more recently. Those who had read it when it first came out still raved about it. Those who read it more recently had mixed feelings about it, like I do now. It made me think whether this book touched readers’ hearts in some important and contemporary way when it first came out and whether for some reason it hasn’t stood the test of time. It is an interesting point to ponder on. Presents are made for the pleasure of the one who gives them, not for the merits of those who receive them. You only got a pittance for translating literature, though a bit more than for writing it, it’s true. Sometimes we think people are like lottery tickets, that they’re there to make our most absurd dreams come true. My voice, rather stiff at first, slowly became more relaxed, and soon I forgot myself and was submerged once more into the narrative, discovering cadences and turns of phrase that flowed like musical motifs, riddles made of timbre and pauses I had not noticed during my first reading. New details, strands of images and fantasy appeared between the lines, and new shapes revealed themselves, like the structure of a building looked at from different angles. Have you read ‘The Shadow of the Wind’? What do you think about it? This year is French writer Romain Gary’s centenary and Emma from ‘Book Around the Corner’ is hosting ‘Romain Gary Literature Month’ to celebrate the occasion. I have wanted to read a Romain Gary book since I discovered him last year and so I decided to participate and read Gary’s memoir ‘Promise at Dawn’. Here is what I think. 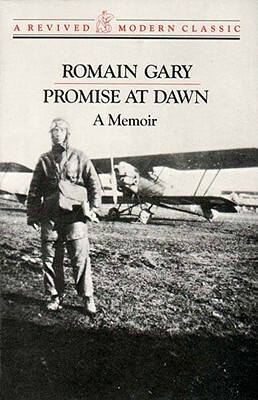 ‘Promise at Dawn’ is Romain Gary’s memoir from the earliest time he can remember till the time around the end of the Second World War. The book starts with Gary sitting in the beach alone in the company of birds and seals and looking back at his life. Gary then describes his early life from the time he lived in Russia where his mother was an actress in the theatre circuit. It then charts their journey from Russia to Poland where they lived for a few years in between and then their move from there to Nice in France. Gary talks about his mother’s love for him, the dreams she had for him (should study to become a lawyer, should become an officer in the airforce, should become an Ambassador of France, should be popular among women, should become a famous writer and win the Nobel prize – Gary managed to achieve all of it, except the Nobel prize winning part, but in his defence he won two Prix Goncourt). The early scenes in which Gary describes his family’s poverty and how his mother tries her best to make ends meet while always making life comfortable for him, are very moving. The way his mother shows him gentle maternal love when it is needed and the way she shows him tough love when it is required is beautifully portrayed. Gary’s prose is simple and beautiful. There are long sentences – positively Proustian in their length – but they pull us inside the story and so they don’t feel long. I sometimes found myself resisting the pull of the story and putting myself outside it and trying to find out how long some of the sentences were (and they were long, very long). I think it is a tribute to his mastery that he makes long sentences accessible to a general reader. My first contact with the sea was unforgettable. I had never met anything or anybody, except my mother, who had a more profound effect on me. I am unable to think of the sea as a mere “it” – for me she is the most living, animated, expressive, meaningful living thing under the sun. I know that she carries the answer to all our questions, if only we could break her coded message, understand what she tries persistently to tell us. Nothing can really happen to me as long as I can let myself fall on some ocean shore. Its salt is like a taste of eternity to my lips, I love it deeply and completely, and it is the only love which gives me peace. I also feel it is time that the truth about Faust be made known. Everyone has lied before, Goethe worse than anyone; he has lied with genius. I know that I should not say what I am going to say, for if there is one thing I hate doing, it is depriving men of their hope. But there it is : the tragedy of Faust is not at all that he sold his soul to the devil. The real tragedy is that there is no devil to buy your soul. There is no “taker”. No one will help you to catch the last ball, no matter what price you are willing to pay. There is, of course, a gang of smart phonies, who give themselves airs and claim they are prepared to make a deal, and I don’t say that one cannot come to terms with them with a certain amount of profit. One can. They offer success, money, the applause of the mob. But if you have had the misfortune to be born a genius, if you are Michelangelo, Goya, Mozart, Tolstoy, Dostoevsky or Malraux, you are destined to die with the feeling that all you have ever done was sell peanuts. I was sitting in my room on the ground floor in front of the open window, writing the last chapter of the great novel I was working on at the time. It was a great last chapter. I regret to this day that I somehow never got around to writing the preceding chapters. I have always had a certain tendency to do last things first, a feeling of urgency, an eagerness for achievement that always made me very impatient with mere beginnings. There is something pedestrian and even mediocre about beginnings. In those days I had written at least twenty last chapters, but I somehow could never bother to begin the books that went with them. No Paris street has been christened after him, but for me all the streets of France bear his name. That passage brought tears to my eyes when I read it the first time. It brings tears when I type it now. There were mentions of writers in the book, some of whom are my favourites, which made me happy – the poètes maudites Verlaine, Rimbaud and Baudelaire and Walter Scott, Karl May and Robert Louis Stevenson. There is also mention of a delicious biscuit called Les Petits Beurres Lulu (At the time of the writing of the book, Gary says that this biscuit is still available. It has been fifty years since the book was first published. I hope Les Petits Beurres Lulu is still available. Because I want to try that.) Gary also mentions Russian dill pickles many times and says that his favourite thing to do was to buy them from a vendor put them on a newspaper and sit somewhere and eat them slowly and peacefully. One of my biggest regrets was not trying them when I was strolling the streets of Moscow. Maybe I should make a trip again just to try them. Or maybe I should make it at home. The ingredients mentioned in the recipe look like ones I could get. The ending of the book was like the climax of a novel or a movie. It was surprising and heartbreaking, though Gary leaves some clues before and I could see it coming. I loved ‘Promise at Dawn’. It is the story of a mother’s love for her son and her dreams of a new country and a new future for him. It is a beautiful song that Romain Gary sings for his mother and it is sweet to hear, though it talks about both the beautiful and the not-so-beautiful things of the world. Definitely one of my favourite reads of the year and one of my favourite memoirs ever. Have you read ‘Promise at Dawn’? What do you think about it? This is the fourth book that I read for the ‘Once Upon a Time’ challenge hosted by Carl.. 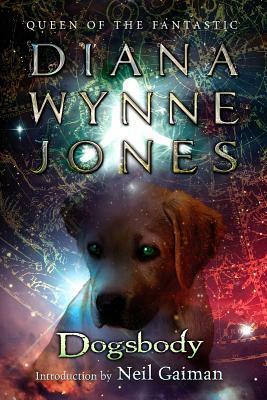 I first got to know about Diana Wynne Jones a few years back when I discovered a Diana Wynne Jones event being hosted in the blogoshere. I have never heard of her before and so I made a mental note to explore her works later. Then Diana Wynne Jones started cropping up everywhere – I discovered that a collection of fantasy short stories on my bookshelf had a short story by her and then I discovered that another collection of fantasy stories on my bookshelf was edited by her. Then I heard more bloggers talking about her. So, this year I decided to read my first Diana Wynne Jones book. That is how I read ‘Dogsbody’. This is what I think. Have you read ‘Dogsbody’? What do you think about it? This is the third book that I read for the ‘Once Upon a Time’ challenge hosted by Carl..
Kate, the ‘Plain Kate’ of the title, lives in a small town with her father. Her father is a wood carver and he has taught Kate much of his art. Though Kate is young and is not even an apprentice, she is better than some of the masters at wood carving. However, as she is very good at it, the town people look at her with suspicion. Some even call her a witch-child. One day a plague kind of fever pays a visit to that little town. Kate’s father gets the fever and soon he is no more. Kate is left an orphan. According to the rules of that time, the guild sends another wood carver who takes over Kate’s father’s business, putting her literally on the streets. Kate moves to a small place near the market, makes small wood carvings and tries to make a living there. She finds a cat in that place and she adopts him and calls him Taggle. Things start getting worse in the town. There is talk of black magic and Kate is increasingly regarded as a witch. There are stories floating down from other places on what happens to witches. Then one day a boat arrives in that town. A pale, white-haired man comes to town to sell some trinkets in the market. He stops by at Kate’s place. He says that his name is Linay. He tells her that he can help her. He can grant her a wish and help her leave the town if she gives him her shadow in return. It seems like a Faustian trade. Kate, initially, declines his offer. But as things get more and more hard for her, she finally says ‘Yes’. Linay gives her some woodcarving tools and other things that she wants. Subconsciously, Kate also yearns for a friend to whom she can talk. And her wishes are realized when she suddenly discovers that her cat Taggle can talk now. One of her well wishers from her town introduces her to the Roamers who are visiting nearby. They are travelling gypsies (Roamers is probably Roma) and they don’t stay in any place for long. They take her in and start treating her as one of their own. One of the young girls there called Drina befriends Kate. As time passes by, Kate notices that her shadow is becoming thinner and thinner. One day she reveals her secret to Drina. She says that she wants her shadow back. Drina says that she will help her. Well, the story is long after that. But I am going to stop here. Will Kate get back her shadow? What happens when the Roamers discover that she doesn’t have a shadow? Why did Linay want Kate’s shadow? What nefarious plan was he hatching? What adventures do Kate and her talking cat Taggle have? The answers to all these questions can be found if you read the book. I enjoyed reading ‘Plain Kate’. I think this is the first time I am reading a novel which is based on Russian folklore and I liked the experience. 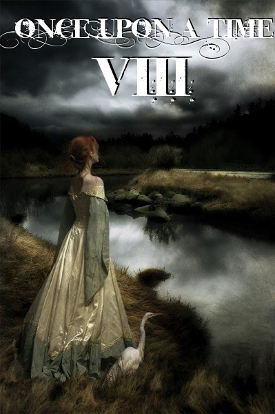 The story brings the medieval era alive (though it is really silent about the time period it is set in, the stories of how women were branded as witches and tortured and how the guilds worked and the strange fever which comes and kills people – these give us an idea of the time period of the story). I loved most of the characters in the story – even Linay (who has a tragic story behind that cunning magician face) and the ghost, the Rusalka that rises out of the fog and brings terrible things with it. The ending was beautiful and perfect – sad and happy in equal measure, though it was mostly sad. I enjoyed reading and learning about the Roamer way of life and loved the wisecracks of the cat Taggle. Taggle was one of the charming characters in the book – beautiful, fearless, funny, wise, loyal and brave. He was almost a dog, though he would have bristled at that suggestion. I also loved the heroine Plain Kate. Plain Kate, or Katerina Svetlana as her full name was, was strong and brave and intelligent and loyal and was an artist at heart. She was anything but plain. While checking out Erin Bow’s website, I discovered that she was a physicist in CERN before she decided to become a YA novelist. I found that quite fascinating. 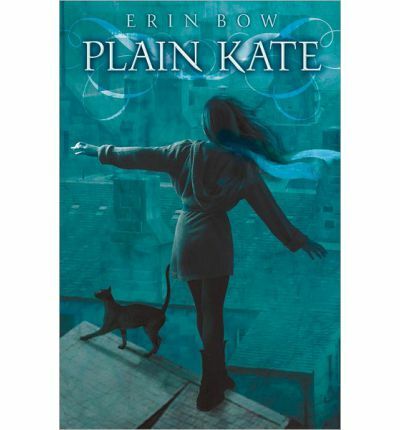 Have you read ‘Plain Kate’ by Erin Bow? What do you think about it?